Soft on the feet and easy on the eyes, carpet is a favorite foundation for formal – and casual spaces. Offering up color, texture, and cushioning, carpeting has looks to satisfy every budget and style. At B&S Carpet One Floor & Home, we’re passionate about carpet’s ability to immediately transform every space it touches. Carpet, especially compared to other flooring options, is extremely versatile in terms of style. There are so many different colors, shades, and patterns from which to choose, so no design is considered off limits when you choose carpet. Frieze carpeting has a casual appearance and soft feel with its long and fuzzy fibers. Loop carpeting has a low profile due to smaller fibers that are looped when woven, resulting in a low profile. Cut pile carpeting is thicker and softer than other varieties, thanks to supple fibers that are hooped and then trimmed down. Textured carpeting is woven out of uneven fibers and has a rougher feel. Carpets are a great choice to install in bedrooms, dens, or you can even install them in living rooms as well. Our stain, wear and fade resistant carpets can be installed in places around your home that experience a lot of traffic like stairs, hallways, and even children’s playrooms and basements. We even offer waterproof carpeting, which is ideal for parents, pet owners, and basements. As a proud member of Carpet One Floor & Home, the world’s largest cooperative of independently-owned-and-operated flooring stores, we’re Opelousas’ favorite purveyors of carpeting. We carry some of the most trusted carpeting and rug brand names and Carpet One exclusives like Relax, it’s… Lees®, Tigress®, and Innovia Xtreme Clean™. 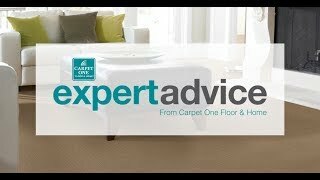 Our carpet experts will help you choose the best carpet for your room. We'll help you balance style with performance. Learn more about stain resistant carpet here and if it is the right fit for your home.